coconut oil's benefits are skyrocketing. So coconut oil get bad reputation because of it's high saturated fat content but research has proved that, the fat in coconut oil is not as fat usually are and it is beneficial for us. Coconut oil is said to be the best oil on earth because of it's benefits. It is our conventional thought that fat in coconut oil is not good for us and lead us to get heart disease, but actually coconut oil is heart healthy food. Nowadays people are on a bit of coconut oil kick but i am sure after reading it's benefits you will start using it if you are not already. Coconut oil is also good for every types of skin. It is excellent moisturizer. Coconut oil is also use to moisturize all types of skin. It is a safe solutions for preventing dryness. It also delays the appearance of wrinkles and also help us in various type of skin disease like psoriasis, dermatitis, eczema etc. Coconut oil is also very good for weight lose. It help us to lose weight by increasing rate of metabolism. It has found that those who use coconut oil as cooking oil are not usually obese, fat or overweight. 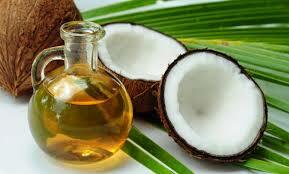 A women who consumed 2 tablespoon of coconut oil everyday for 12 week has reduced abdominal fat. It is very beneficial for health, it has said that those people who eat a lot of coconut are the healthiest people on earth. There is an example of those people who eat a lot of coconut and use coconut oil, they take 60% of their daily calorie from coconut. Here is an amazing example of the population of Tokelauans. These people are in excellent health with no heart disease. Coconut oil also help us to heal wounds. When it applied to infected area it protects the damaged area from external dirt, bacteria, fungi etc. It speed up the process of healing. In stone age coconut oil used as tenchar. It has proved that coconut oil kills viruses that cause influenza, measles, herpes etc. Another amazing health benefit of coconut oil is that it can reduce your hunger. It kills your hunger and make you eat less. In Muslim countries MUSLIMS usually use coconut oil while fasting because it kills their hunger. Coconut oil is one of the best natural oil. It uses in the manufacturing of varies hair products. In India people usually use it after taking bath or shower. It is an amazing moisturizer.Studies have proved that coconut oil provide better protection from hygral fatigue. Help us in re-growth of damaged hair. It makes you hair long and shiny. Virgin coconut oil is best for hair care. check out our article on HOW TO GET LONG HAIR. I agree, there are actually a lot of helpful ways coconut oil provides esp. for the integumentary system. Coconut oil is on of my favorites. For some reason I had foot fungus on one foot for few months. Now it is gone due to coconut's natural anti-fungal properties.